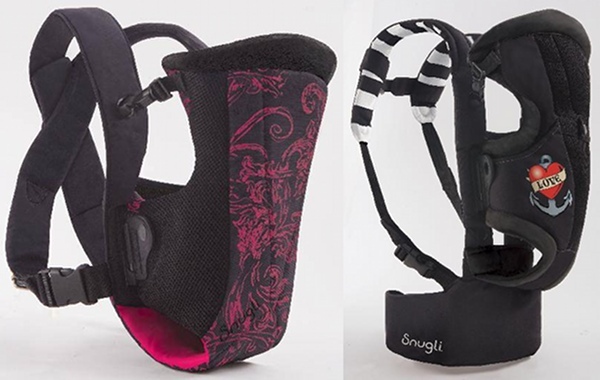 Jennifer DeLonge’s Snugli baby carrier designs! I loved my Theodore Bean carrier when my second son was a baby. Not only did my son have the same name, the groovy animal print was a tad different from many of the plainer designs. 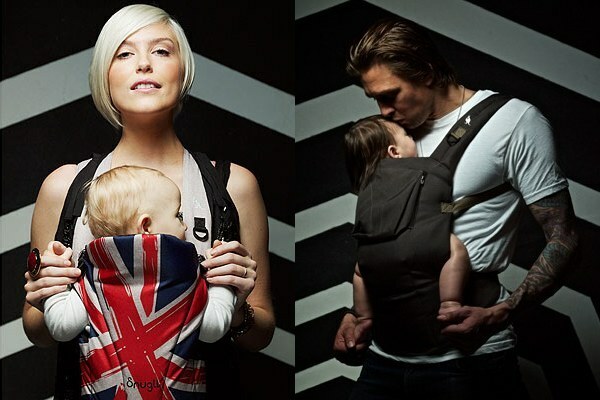 Well now modern babies can get around the streets attached to a parent with the funkiest new baby carriers ever! One of Babyology’s favourite children’s furniture designers Jennifer Delonge has teamed up with Snugli to make edgy carriers for those who like a more alternative style! Oh baby this collection has all the aesthetic edge it takes to attract urbanesque parents with the new designs of Union Jack (above left), Heart Attack, Barcode, Gothic Black (above right), Love Tattoo (below right), and more. The collection is available from Buy Buy Baby with prices starting at US$39.99 up to $79.99 depending on which of the four styles of carrier you choose. Have a look at the fab video for the Snugli collaboration with Jennifer DeLonge.